So you’ve got that perfect music track and you desperately want to set it as your ringtone. It’s not as easy as Android but it’s not difficult by any means. All it takes is a little bit of patience and about five minutes of your time. 1. 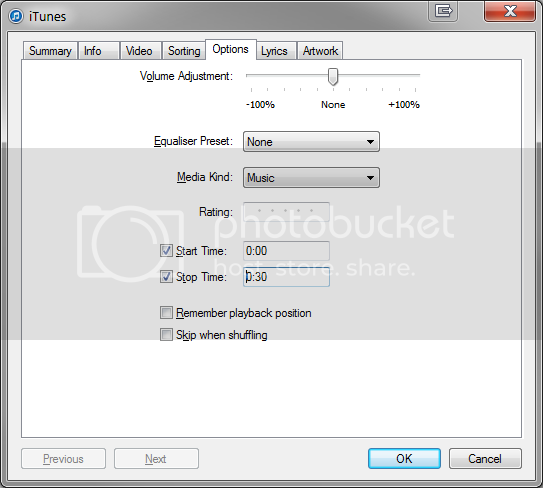 Go to your computer and launch iTunes, making sure the music you want to convert to a ringtone exists in your iTunes library. If it doesn't, import it. 4. Go to the Options tab at the top and put a check mark in the ‘Start Time’ and ‘Stop Time’ boxes, making sure that you know exactly when you want the ringtone to start and stop. WARNING: The ringtone MUST be 30 second or less. If it is longer than 30 seconds, it won’t be usable as a ringtone. 5. Once done, click OK and then right click on the track again and select ‘Create AAC Version.’ This will create a duplicate track of the length specified in the box above. This shorter duplicate track will become our ringtone. If you don’t see AAC then it probably means that you have iTunes set to rip to a different format. Go to your Preferences, General Tab and click on the ‘Import Settings’ button near the bottom of that box. Change the import format to AAC, click OK and close that box and follow the steps above. ‘Start Time’ and ‘Stop Time’ boxes. 7. Right click on the shorter duplicate track and Click on ‘Show in Windows Explorer’ if using windows obviously. I don’t know what the equivalent would be on a Mac. This will open another folder where your shorter duplicate file will be stored. file in the folder. If it isn’t, right click, choose ‘Properties’, then the ‘Details’ tab and scroll down to ‘Length’. The correct file will have the length as specified above. 9. Right click that file and click on rename. Change the file extension to .m4r and OK that change. 10. 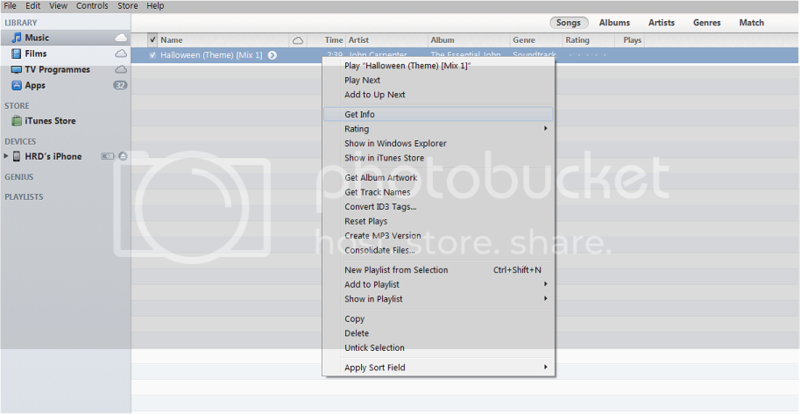 Double Click that renamed track and it will automatically add it to iTunes and stat playing the track and it will have added it to your ‘Tones’ library. 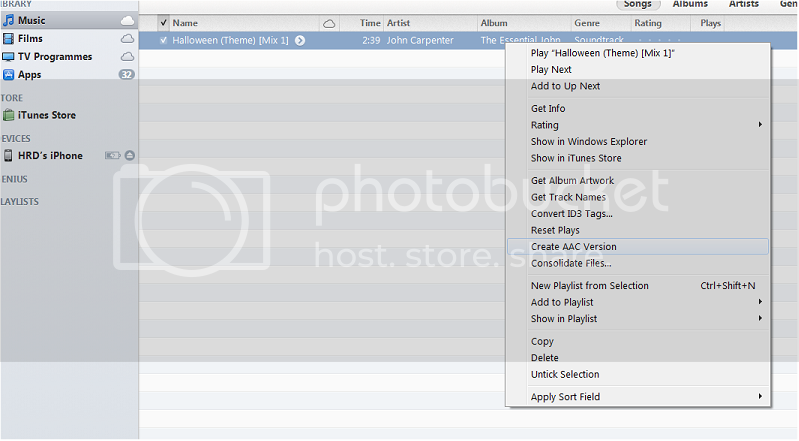 If you don’t have a ‘Tones’ library, go back to Preferences and select it in the General tab. 12. Select the Correct ringtone and sync your device. 13. You can now go to your iphone and change your ringtone to the new track. I’ve just done this all in iOS7 on my new iPhone so I know it works. Good job on the guide HRD. very nice guide, thank you. Thanks for sharing this, I use it all the time! Great guide. I guess there's no way to do it without a computer. Should be though. thanks for the great guide saved me a lot of headaches for sure. In 2014 this should not be an issue...even blackberry can take any song as a ring tone they have to fix this in iOS 8.xxxx or 9. There is a way to do it without using a computer. You can use Garage Band apps. Just check the step by step on youtube. Just search for how to use garage band to set song as ringtone. I did mine. Not really that simple but once you get a hang of it, not that bad. Thanks for the information, Garage Band now is free. That saves lots of effort each time I want to make a custom ringtone.